This series is part of Scholastic's early reader line, Acorn, aimed at children who are learning to read. With easy-to-read text, a short-story format, plenty of humor, and full-color artwork on every page, these books will boost reading confidence and fluency. Acorn books plant a love of reading and help readers grow! 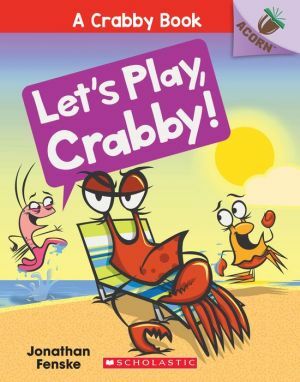 Plankton wants Crabby to play a game. Plankton tries to get Crabby to play Simon Says, Tag, and Hide-and-Seek. But Crabby does NOT want to play with Plankton. Will Plankton give up? Or will Crabby finally play along? With comic speech bubbles and full-color artwork throughout, Geisel Award Honoree Jonathan Fenske's early reader series is sure to be a hit with new readers!